For me Vendetta was an interesting read. I didn't love it but it certainly has potential as a series. 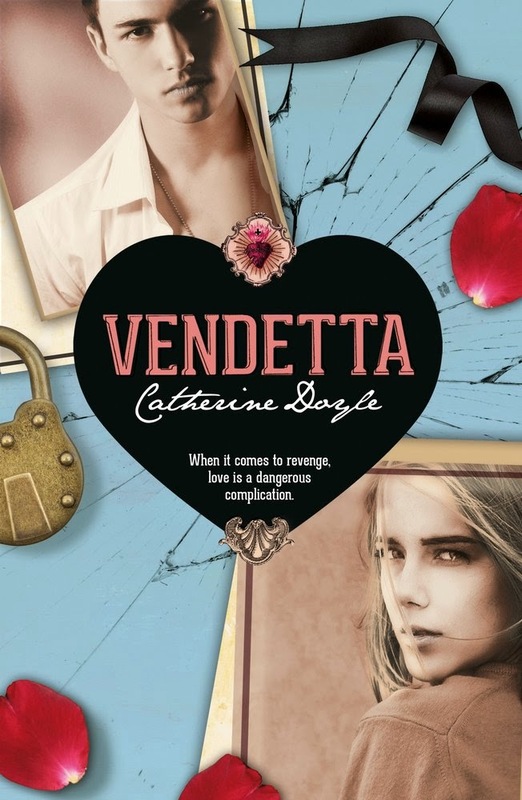 Vendetta is the story of Sophie, an ordinary girl who meets a gorgeous boy whose family has just moved in locally. Problem is there is more than meet the eye to these boys and the more that Sophie finds out about them the darker things become and the more she starts to find out about the hidden past of her own family. I did like Sophie as a character. I loved that she worked part time. All too often in books the main teenage character just seems to have money thrown at them but not in this case. I want more of this in YA please. I won't go into plot because whatever I say will spoil the book. I did enjoy the story overall and found myself getting into it more and more as the story went on. I did however find myself getting a little bored at the start and found it a bit too slow to get going. All in all while it didn't blow me away I'd certainly be interested in following the story on further in the future and I am looking forward to things kicking off now the story has been set up.